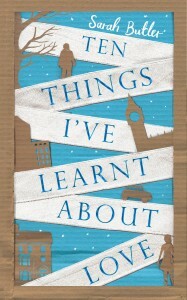 Ten Things I’ve Learnt About Love, Sarah Butler’s debut novel, has made quite a splash already, with rights sold in twelve languages and a big publishing deal in the USA, so I approached it with high expectations. 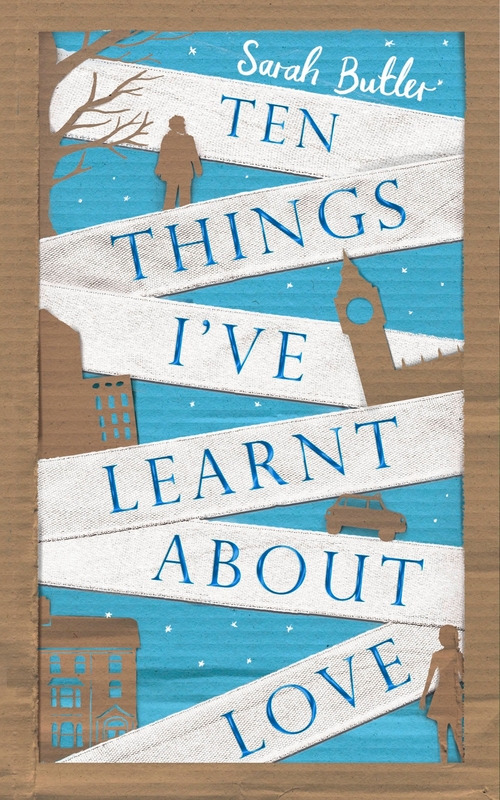 The blurb says that this novel is ‘a story for daughters, fathers and lost lovers everywhere’ and with its light-hearted title and quirky cover it looks as if it’s going to fun. The story revolves around Alice, a restless soul, youngest of three sisters, who returns to England from her travels in Mongolia for the death of her step-father; and Daniel – a middle-aged down and out who is in search of her. It’s structured in alternating chapters with Alice and Daniel as the narrators. And this is where I ran into problems with this novel. Both narrations are done, for the most part, in the first person present tense, and the two voices and the kinds of observations they make are almost identical. It seems a real waste of an opportunity to be giving us two such similar voices and consciousnesses. Daniel sounds so feminine in his observations that I was simply unable to believe in him: ‘She looks like someone who diets – her face is slightly drawn and there’s an edge of discontent about her.’ ‘When I was a kid and all those bees died in our garden, with their soft black-and orange fur and their delicate wings.’ He just doesn’t sound like a middle-aged down-and-out to me; his observations and manner of expression are too feminine, too literary, and his terms of reference too similar to Alice’s. This homogeneity is compounded by the fact that it’s not only the Alice chapters than begin with lists of ten things, Daniel’s do too, and I found this just too much. It makes the device, so fresh and delightful at first, begin to seem artificial and even at times, laboured. The Daniel chapters are also rather slow, so that while there’s some rise and fall of tension in Alice’s strand of the story, Daniel’s becomes rather monotonous. He is synesthetic, seeing colour when he hears words. This is intrinsically interesting, and beautifully described, but there’s too much of it. He spends the entire novel collecting little gatherings of objects to spell out his daughter’s name and leave as offerings for her to find. Again, this is a lovely idea but quickly becomes repetitive when in almost every one of his chapters he does so. I soon found myself skimming these sections. Despite these objections I really enjoyed Butler’s crisp prose style, her brilliant observations and finely selected detail. In her acknowledgements Butler says that the novel is in part a love letter to London, and the city with its atmospheres ranging from grand to squalid is evoked beautifully, especially in the long walks which both Alice, and Daniel take separately and finally together. These are described in such detail that you could follow their routes on a map or on Google if you so desired. In the end, this was not the novel I thought it was going to be, or I think, that it is packaged to be. It’s not as quirky or as much fun as it looks. However, Sarah Butler writes beautifully and there is much to admire in this novel, which is amazingly atmospheric, a tender, thoughtful melancholy read, and rather moving in its final chapters.